Ok so I know I'm slacking on my blogs. I'm sorry! I get pretty pre-occupied here. I am having a so much fun though, this totally makes boot camp worth it. Tomorrow we begin Photo Journalism. I don't know how well I'll do in it, but I'm sure I'll have fun either way. But anyway, I'm worried I wont do so well on these next few parts, Photojournalism and Feature writing, which both involve creativity. Not saying I'm not creative but sometimes I don't feel too creative I guess, and I'd hate to ruin my grade because of it. Oh well, we'll just see how it goes! 2 more weeks and I'm coming home. So to my pals at 3SG expect to see me at some point. To my recruiters I'm gonna try to stop in and work with you guys, which i will be calling you about soon. To my friends you better get ready because the fun is coming back to Chilli ;D. And to my family, well i'll just be glad to be back home. Good afternoon and Happy Thanksgiving! Sure it's a day late but at least I got around to it. Sorry it has been so long since I updated, but I'm still running on no internet whatsoever. I've got my cell phone and a laptop now, but still no connection. I'm going tomorrow to speak with some people in the mall nearby and have them come hook me up asap. If you need anything or just want to chat give me a call, if you don't have my number just ask, I may give it to you. Things are actually going great here. School is awesome, I'm learning stuff and actually enjoying it. Right now we're just doing journalism, but I am surprised how much I like it. Soon we start photojournalism, and that is going to be amazing. I've seen what some of the other sailors who are in the class ahead of me are doing and it looks fun. The instructors are good too, very easy to talk to. So it's easier for me to get my questions answered. Good Evening folks back home... and anywhere else you may be. SR Wolfe here, in the flesh(well the internet flesh) typing up my own blog entry for a change. As you know, I've been a bit busy, so I would like to start off by saying thank you to Kevin for all the long tedious hours he spent sweating over his keyboard, button-push after finger-breaking button push. I know it must've been horrible for him and I really wish I could repay him somehow, but since I think he wouldn't appreciate cash as much as he would internet props I'll just thank him by simply saying "Thanks Kevin!" It's been a while since this has been updated, nearly two weeks I think. That is because there has been a lot going on. So I'll fill you in. 2 weeks ago I participated in Battle Stations. As fun and eventful as that was, you'll just have to settle for knowing it was both fun and eventful. I'm legally bound by a page 13 stating that I will not discuss battle stations with anyone who has not been through battle stations. I'm almost 300 percent positive that most of you haven't been, but if you have, feel free to write me about it. After Battle Stations we pretty much had a week of cool down, I donated blood and had some snacks, I shined my boots, we watched some movies and that was about it. Last friday was graduation. Which was a blast! I finally got to see my family again, and was surprised to see my friends as well, so thanks to the gang for coming up, it meant a lot. I didn't do much over liberty weekend, but that was fine with me, the 2 months prior to that was spent doing all kinds of stuff, so the break was a welcome change. Just hung out with the family and friends, and enjoyed life again. Now I'm sitting here in Fort Meade, Maryland, the location of my "A" School. Classes begin on Tuesday and I'm pumped. One of the guys who's been here a while was showing me some of the stuff I will be doing and it looks like it everything I dreamed it would be. I can't wait to start. Right now I'm in "Phase 1". Phase 1 is meant to be a transistional phase from boot camp back into somewhat normal life. In phase 1, I am not permitted to have electronic devices, wear civilian clothes, have food in my room, leave base on weekdays, and a few other little things. That may seem bad to some of you reading this, however, I'm pretty much in heaven right now, there are so many things I couldn't do in boot camp that I can do now. The good outweighs the bad, and in two weeks I'll be in phase 2, and life will be grand. In phase 2 I can do all those things I just mentioned not being able to do in phase 1. When phase 2 rolls around I will buy a laptop, and then I will be able to update regularly, and post all the pictures I have from graduation and liberty that for some reason wont post from these computers on base. So until then I'm going to get on some stuff I need to get done around here. Hello all of Wolfe's friends. I am Seaman Recruit Brown (Wolfe's bunk mate). He asked me to do a "guest writer" entry in his blog and to try and go over anything that he may have missed. I guess I'll go ahead and start off my talking about the flag that Wolfe effed up. I helped Wolfe work on the flag, which looked totally sweet on paper, but turned out looking like some medieval, Christmas obsessed, homosexuals painted it. So as you can imagine, the whole "Christmas obsessed, homosexual" type paintings aren't a real crowd pleaser here in Chicago. So our painting was placed on the back side of the flag. But, fortunately for me, I worked on both sides so my work will still be showing. Also, because I'm stupid and nobody wants to write me letters, I found this to be a great opportunity to spam Wolfe's blog and say that my myspace is http://www.myspace.com/dr_kuofficus . There might not be an underscore in that. After two months of not being on, it's hard to remember that sort of thing. My name is Charlie Brown. Just though I would clear that up so you don't accidentally find a different losers profile, and lastly, there is a bunch of stuff in there where I put down stupid answers to stuff. I guess I thought I was being funny or something, but I do not have the body of a body builder, I don't make freakin $300,000.00 Annually, I'm not freaking Bi. And actually I lied the real last thing is that, those are about the only bull crap answers on there, the rest should be true. and I used some profanity in my profile (I think) so if that isn't you bag baby, don't look at it. Oh, I'm dumb, I forgot to mention the entire point of this is to write me letters after learning a little bit about me. My mailing address is the same as Wolfe's except that instead of "SR. Wolfe, L.A." it's "SR. Brown, C.D"
It's coming, and soon. This Sunday, by the time this is posted, it will be over. Battle stations, in case I haven't explained it yet, is the big event at the end of boot camp where you utilise everything you learned through the process: firefighting, line handling, and who knows what else. Unfortunately for you I can't tell you about it afterwards, I have to sign papers saying I won't talk about it with anyone who hasn't been through it themselves. Anyway, I kind of felt bad after last weeks rushed entry so I'm going to write this one as the week goes on. First though I'll touch on some things I may have left out in my haste. While my flag drawing did win the contest something was lost in translation from sketch to painting. So after a second vote my drawing was moved to the other side of the flag, the side not seen at graduation. No big deal the other side turned out better no doubt. Also we had our second surprise inspection. SURPRISE! I failed. It wasn't really a surprise though, chief told us it was coming. That just makes it even worse. It was 3 stupid hits too, a button had fallen off of one of my shirts in my locker and my pen fell off my chain into my locker and I didn't know it. So I got a gear adrift hit. I can't remember the other hit though. You can only fail one graded event per phase of training. That was my one. Two failures and you get set back a week in training. So needless to say I'm a bit on edge for the rest of this week. Personnel inspection is Monday, final PFA on Wednesday, and test 3 on Friday... It's imperative I pass all of those. So let the week begin! Today was a pretty important day. We had our final Personnel inspection. Half of us had to get into our dress blues (what we'll wear at graduation) and the other half put on the working blues, or "Johnny Cash's". I was pretty nervous but I ended up getting a perfect score. So that was a major relief. I was also pleasantly surprised when I learned we would go to the gas chamber a day earlier than I thought. It was actually pretty cool though. They put us all in a room with gas masks on (about 150 - 160 of us) and stood us side by side in rows of 18 or so. The first row stepped up to a red line on the deck and then took off their masks and held them up with one hand while forming a cup with the other to catch anything that may be expelled from the face holes. Then you had to state you name "seaman recruit Wolfe" , and your division "Division 379" . For most, however, it came out something like "seaman recruit" *cough*cough* "Schmuckatellie" *cough*gag*"Div.." *gag* " Division" *snot* " 379" *cough*gasp*. Once the whole line had sounded off they would file out and the next line would move up. I was in the second to last line so by the time I got up there I had already been breathing in the fumes that the mask didn't filter. So I took off my mask and waited for my turn to sound off with my cup at the ready. I sounded off and coughed a couple times and that was it. I sneezed for about 5 minutes afterward but that was not too bad. Some people were pretty affected by it though. After it was all over I wanted to do it again. Nothing much happened on Tuesday, so I skipped to Wednesday. Today was an important day though. The final Physical Fitness Assessment. The requirements for my age: Push ups 42, sit ups 50, 1-1/2 mile run time 13:15. My scores: Push ups 60, Sit up 93, 1-1/2 mile run time 11:23. all in all a good day! Now that the PFA is behind me I just have to worry about test 3 on Friday and battle stations on Monday! Oh and I shouldn't forget the drill (marching) assessment tomorrow, I wasn't concerned with it but chief told us if we do well on test 3 and drill he will take us to the nex (RTC wal mart basically. Featuring shopping, food, computers, arcade, phones, etc). So i hope we nail it! Alas, drill went poorly this morning. We made a safety violation while crossing the street. Chief was unhappy with that. He was also unhappy when he was called in this morning because no RDC (Recruit Division commander) showed up this morning to get us up and one of my shipmates alerted another chief of the situation and mentioned that it happens all the time, which is untrue. You know what they say, "crap rolls downhill" so we got an ear full. We did the firefighting today, and man was that fun. We put on the gear, well most of it, and put out some fires. They were all controlled and pretty tame, but it was still a blast. So much that for a few minutes I wished I had picked that as my job. So Brandon, I think It's something you would enjoy. I need to go for the night though, test 3 is tomorrow, and study is required. The end is near! I can see a light at the end of the tunnel, I call it “Taco Bell”…No, wait I mean “Graduation” although Taco Bell is definitely on my list of places to go. I can’t write a whole lot today but I figured I should update my loyal reader. This past week was kind of quiet. Took pictures filled out some paperwork went to some firefighting classes. Next week is gonna be packed full of excitement. Personnel inspection on Monday, gas chamber on Tuesday, PFA Wednesday, drill inspection Thursday, and test 3 on Friday. So, like I said busy busy. I’ve gotta go now though need to practice tying my neck tie for my Johnny Cashes. P.S. Dad, since I know you are reading this could you get a hold of mom and let her know about graduation. Tell her I said sorry I haven’t written in a while, but I will be making phone calls next week. Well we’re almost there now. Tuesday starts week 5 and battle stations, “The Main Event”, is all at the end of week 6, after that it’s all down hill. Last week we had a line handling lab, where we tied a huge fake ship to a huge fake pier. We also had our weapons training and qualifications. I scored a 186, which isn’t that great. It’s enough to get a marksman ribbon, but I’m going to take it again once I get out to earn my expert ribbon. Next week we start firefighting that will make the week go fast. Also the “Confidence Chamber” is coming up. That’s where you take off your gas mask in the room filled with some gas that is no fun to inhale. But what I am looking forward to most is haircut #3, because I really need it … Not. This Monday will begin week four. That's crazy! I'm over halfway out of here. This is a big week though. Monday at 0400 we have RDC assessment PFA, then another personal and locker inspection. Wednesday (I think) we have our drill (marching) inspection, if we do well we get another flag to carry at graduation. Friday is our second academic test, we already earned our scholastic flag, but we can earn a pennant to put at the top of it. Speaking of flags... we had a competition to design a custom flag for our division and my design won. My rack mate, Charlie Brown, and I scaled it up and drew it on the flag we will spend probably all of our holiday routine tomorrow painting it. So, if you wrote me a letter, thanks, it means a lot to me but I'm probably not going to be able to write this week. I want to especially thank my aunt Kathy who wrote me an 8 page letter that started like this: "I really don't have anything to say..." classic. All in all things are going well, I'm sick but most of us here are. 81 guys x 1 compartment = much sickness. There are some real tools here, but there are some cool people as well. Like Simons who plays FFXI, or Saunders, who plays WoW and Rainbow Six Vegas, and is also into graphic design. Plus he got it guaranteed in his contract that he will be stationed in Japan, lucky. Then there is Charlie Brown from Utah. He just cracks me up, he says some crazy stuff sometimes. It's 2-5 Hold (week 2 Day 5, and we're on hold because it's the weekend). Things are really speeding up now. Monday starts week 3. We get our second haircuts this week, not that i need it or anything. We will also start learning line handling and how to tie up a ship. The week after we start weapons training I'm excited for that. Monday - Personnel inspection and dynamic material inspection (DMI), that's where we get dressed into our utilities and they inspect us. I got a 4.0 because there was too much excess material on my belt, and because my shave wasn't good enough. the DMI is where they check my bed making skills and grade my folding and stowing of all my gear. I got a 5.0 on my locker, who would have figured. Wednesday - Zone inspections and academic test 1. Zone inspection is pretty much the same as the DMI but they inspect the whole compartment as well. 5.0 again, and I also passed my test. Thursday - We did uniform 2ND issue, where we got measured and issued our dress uniforms. That was awesome. It actually reminded me why I'm here. I don't mean just for the cool uniform, but for the reward at the end of all this. Well I need to get working on my submission for our division flag. I hope to hear from some people back home. P.S. I passed my swim Qualifications. Now that boot camp has really started things are picking up a bit. Unlike P-Days, we actually do things other than make our beds and sit in lines that lead to different lines. On Monday we practiced our marching drill. We're definitely improving. After chow we did some PT to see where we stood athleticism wise. We did our warm ups and then sit ups and push ups. I pushed out about 35 sit ups and 27 push ups and could not manage any more. The mile and a half jog was just that, a jog, it was way slower than my normal pace, and I was beat. We left the gym with me feeling disappointed and worried because the baseline PFA (Physical Fitness Assessment) was only two days away. If I failed it then I would not get my automatic E-2 advancement. To pass I would have to do 47 push ups and about 50 sit ups plus the mile and a half in under 13:30. I was pretty upset because before boot camp I had no problem hitting those marks. I guess that's what one whole week of doing nothing but eating and sitting around will do for you. When we returned to the compartment the RDC ripped me a new one for signing the deck log wrong and getting us a compartment hit from the surprise inspection while we were gone. So, for my mistake he took 5 more minutes on our phone call home. It started at 60 minutes and is down to 25 now =( it was my fault though, I listened to the division idiot on how to sign off on it. So needless to say I felt like complete crap Monday. I apologized to the rest of the division later that day, but I still felt like crap. On Tuesday we had our swim qualifications early in the morning. I stepped off the ten foot platform and hit the water harder than I anticipated. I ended up sucking in a bunch and panicking. I got to the surface and tried to breast stroke all the way down the 50 yard pool, but probably made it about 10 yards before I wore myself out and they made me turn over and do the back stroke which was much easier, but much slower. My shipmates were running me over. I had about 10 yards left and someone swam over me and pushed me under making me inhale a bunch of water, so my immediate reaction was to surface, and quick. My feet hit the bottom of the pool and instantly I knew my mistake. Standing up in the shallow end meant failure. However on my second try with the rest of the failures, the loser’s bracket if you will, I passed no problem. No one was pushing me under. So, I went on to the 5 minute prone float. I probably made it 3 minutes but my legs we already so tired I could barely walk. We had to lay face down getting air only when necessary. Again though, the space was too crowded and I was being pushed down. After going under a few times I just gave up. I was mad at myself later, that meant I had to go back and try again another day. All in all I was pretty bummed. Add to that the fact that mail has been coming in since last Tuesday and I have yet to receive any, I was ready to go AWOL and jump the fence. This morning, I had the retest for swim quals at about 0700 but we got there and we didn’t have our IDs on us so we had to double-time back across the base and now, again, will have to go back there to take the test. So today got off to a piss-poor start as well. After all the marching and double-time in those boots I wore blisters on my feet. So I was worried about my ability to run. However, when it came time I did 68 sit ups, 60 push ups and ran the mile and a half in 12:56, I passed! As long as I passed the academic test I’m an E-2! Well that’s enough for now, 3 pages worth. I’m gonna hit the bead and get some rest, I think I have watch tonight, around 0400. P.S. Write me… Mail is like crack around here and I need my fix! I miss being at home, and normal life. But its only 8 more weeks, and things will be somewhat back to normal. Food is pretty good here, compared to how I normally eat, and I eat like a pig now too. It's not really too bad here, as long as you pay attention and keep your head on straight and your mouth shut. I'm pretty home-sick. I have to go iron military creases into my utilities so we will be permitted to wear then to dinner tonight. ...8 weeks left, tomorrow starts 1-1 day, the first real training. Sorry not enough time to write a lot today. Well the countdown has come to an end. It's about 0200 right now and I'm doing some last minute cleaning and getting ready to take my desk apart, and pack my computer up. I thought I should make one last post before I tear her down. Tomorrow I will leave from the recruiting office here in Chillicothe at about 1330(1:30pm). I will take a shuttle up to Columbus and check into my hotel where I will sit(and study) until I go to bed that night. In the morning I will wake up around 0430 and get some breakfast before heading off to MEPS to do some paper work and such. After that I will swear in and head over to the airport and grab the next flight to Chicago. Where I begin my "P-Days"
P-Days are the days before the actual training begins. The days when you do the in-processing, such as getting your shots, haircuts, smurf-suit(lovely blue sweat suit), and other naval goodies. After the P-Days are done is when my training begins and my 8 weeks in boot camp start counting. Before I go, I just want to say thanks to all of my friends and family for their support. As hard as it may be for you, it is just as hard for me to leave everything I know behind. To think of my brothers growing up without me being around to tease them about their attempts at facial hair or just to beat them up every once in a while. The thought of all the things in the lives of my friends that I wont be around to share. Or some of the people I may never get to see again. It's all hard for me to deal with, but I know that sometimes you have to be selfish to be selfless(in the words of Maranda) So right now I'm being selfish so that if in the future I decide to have a family I will be able to provide for them. I wont forget where I came from and who my friends are, because it is hard to forget the people who have been part of your life like you guys have for me. We will keep in touch, fo sho! I made this slideshow at FreeFlashSlideshow.com. Check out these MySpace Slideshows! Yesterday was the day of our supposed family reunion. Although it didn't take me long to figure out that it wasn't a family reunion after all. It was a little too patriotic with the stars and stripes decorations, and Navy flag hanging on the wall. The big tipper was the poster on the wall that said "Good Luck Adam" next to a Carrier. It turned out pretty nice. Lots of family came, Parents and Grandparents, Uncles and Aunts, Cousins and Friends, and a few coworkers surprised me as well. I have to admit they got me. Apparently everyone thought I knew about the party, and normally I do know when something is up, but I was caught completely off guard, good thing it wasn't an ambush or anything, I would've been in some serious trouble. I've got some packing to do, and I need to study for my E-2 exam, I was talking to people who recently graduated and they said make sure you study EVERYTHING in that PQS book, because the test covers it all. I kind of skimmed through the first aid section, so I'm going back through and freshening up on everything. 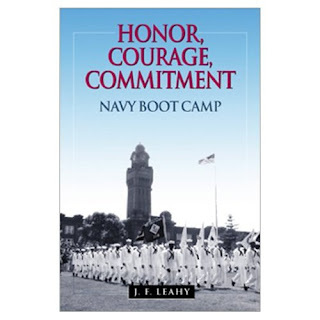 Plus I bought this book called "Honor, Courage, Commitment: Navy Boot Camp". I highly suggest anyone going into boot camp read this book. It follows a division through the whole RTC process, from swearing in at MEPS to graduation. I feel it gives you an advantage because you know what to expect. I'm going to leave my copy with my recruiters when I leave if anyone wants to read it. Even if you're done with bootcamp, or just interested in the Navy it's a good book. So check it out. Time is going too fast now. 5 months ago today, I was at MEPS swearing in and signing my papers, thinking of how 5 months was such a long wait. Now I'm asking for just a few more days really. So many people I haven't visited enough who will be mad at me I'm sure. Things have been pretty hectic lately. And when I do get some free time I can't enjoy it because I feel like there are a million things I should be doing, other than relaxing. Just nerves I guess. Although the thought of Boot Camp doesn't bother me. I only get anxious when I think about leaving the night before to go stay in the hotel in Columbus. Which doesn't really make sense, I know. Perhaps it's just because it's the first step into my new Navy life, and my goodbye to Chillicothe, OH where I was raised and have lived all my life. Where my family and friends live, and will continue to live without me while I'm gone. But it's necessary to sacrifice a little to gain a little more, besides it wont be forever. On another note Kevin, Marissa, and I went to a shooting range in Lancaster and got some target practice in. Which was nice, I wanted to get the feel for shooting a handgun before I left for boot camp. I have never fired a gun before and I didn't want to get there and look like a noob, well anymore than I already will that is. I did alright starting out, but the more we shot the worse I got. As we were wrapping up though, a guy a couple of lanes over gave us some pointers, so I hope to put those into practice tomorrow when we go again! 6 days left... that's no time at all. - This is the website for Recruit Training Command in Great Lakes Illinois, where every sailor starts out. This site has information on what the recruits will go through, and how they can do better while in RTC. As well as what to bring, what not to bring. It also has information for the families of recruits, such as how to contact in case of emergency, or how to write the address on letters to the recruit, and info on the graduation ceremony. -This is a site full of information about the Navy. Specifically things recruits should know before boot camp. A Guide to the Delayed Entry Program, with the sailors creed, the 11 General Orders, Naval History and much more. -Similar to the Delayed Entry Program website above, this site has info about things you should learn before going to boot camp. It has flash cards, and games, and puzzles to help memorize the Sailors Creed and the 11 General Orders. It has the actual DEP PQS guide to look through also. There are plenty of other things aside from just resources for new recruits. My favorite feature is the "Find a Go-To Shipmate in your Rate" I used that to email an MC who is already active duty, and ask him a few questions that only an MC would really know. Very helpful page! -I just found this site recently, it has information on the G.I. Bill, calculators for pay and compensation, and quite a few other things, many of which as a new recruit aren't helpful to me but I'm sure will be in the future. -I probably visited this article 10 times a day before I had made my decision that I was joining and what branch I would choose. Priceless information on what to expect, what to ask your recruiters, how to tell if the military is right for you, what each branch has to offer, and plenty other tips that help those unacquainted with military life learn what it's all about. -Pretty self-explanatory. Military Pay charts as of April 2007. -A calculator that figures up how much you will be paid in Basic Allowance for Housing to live in a certain area. 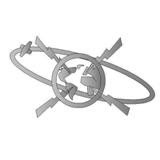 - Like the BAH Calculator, but this one Calculates how much for places located overseas. There are, from what I've gathered, a few things that factor in when choosing your first duty station. Part of it is all on you. If you go through "A" school and do the best you can do,(which shouldn't be hard, just apply yourself. School work and duties first, play time later) and graduate #1 in your class that gives you first pick from the billets(a billet is basically a slot available for your rating, or job, on a particular base or ship). If you rank #2 you get to pick second, from whatever is left over after the #1 ranked student picks, and so on and so forth with the 3rd, 4th, and on. A second and more important factor in selecting a billet(and one you have no control over) is the "Needs of the Navy". Sure you can do your best to get first pick from that list of billets, but if there isn't a billet available in the place you want, then it wont be on that list. Plain and simple. If the Navy doesn't need an MC at Pearl Harbor then it will not be on the list, regardless of how well you do in "A" School. I imagine that down the road seniority also plays a great deal, although I haven't talked much with people about this one, as I'm just worried about making through RTC and "A" School still. Of course I could be completely wrong about this, this is just what I have heard from all the people I have talked to about it. So if someone reading this knows better, feel free to let me know. I woke up around 10:00 am, expecting my IFA to be at 1:00 pm I thought I'd have a nice bowl of raisin bran, since I would have plenty of time to let it all settle before running around and doing push ups. However AT2 Young, my recruiter, called me and suggested we do the testing a little earlier to avoid the heat. So I met him at about 11:15 with a stomach full of milk. The push-ups were no problem. The issues started when I was doing the sit-ups, with each one my stomach made a nice *glug-glug* sound, loud enough for everyone to hear. With my push-ups and sit-ups out of the way it was time for the run. It turns out one lap around the whole of the Shawnee Square building complex is a half mile. I took a few last drinks of water and started my 3 laps. It's hard to gauge how fast you should go. While running on the flood wall there isn't much in the way of scenery, you pretty much run past nothing. It's just a straight shot so it's hard to compare speeds to when you're running by stores, and people, and cars, and street signs. So I started out at what I thought was a pace a little faster than normal. I finished my first 2 laps in about 7 minutes, but by the beginning of the third lap I was pretty sure I was going to lose my raisin bran. The whole time I could feel all that milk churning inside my stomach. I stopped to walk every time I got out of sight just to let my stomach settle again. It didn't help my legs to stop and start but my legs weren't what I was worried about. I was sure I was over the time limit, with all the walking anyway. AT2 Young informed me that I ran it in 11:17 though, so I was surprised. Since I started out at a fairly fast pace I bought myself some extra time and finished about 2 minutes under the limit. Well that's just one more thing out of the way, and one step closer to RTC! Now I begin the busiest week of my life it seems, dental appointments, DEP meetings, birthday dinners and lunches, bingo, Hanging out with a friend from out of town and more... makes me tired just thinking about it. 17 days... woah! that's not that many, I better start packing. I have heard that RTC(Recruit Training Camp) is 80% mental and 20% physical. So my goal is to knock out the physical part before I leave, and devote that extra 20% to the mental. As a 20-24 year old male I am required to do a 1.5 mile run in 13 minutes and 30 seconds or faster. Also I have to do about 50 push-ups and 50 sit-ups. I don't remember the exact number, just that 50 of each was "satisfactory". 13 minutes 30 seconds for the 1.5 mile run is actually "probationary" so my goal is to do much better than that. The push-ups and sit-ups never worried me, I have been able to do that since before I even signed up. The run, however, was going to be problem. So my friend Kevin and I started running about 2 month ago I think. We started out running a quarter-mile, and then walking a quarter-mile repeating 4 times. That lasted for about a week, and we upped it to running a half, walking a half, and then running another half. Next we bumped it up to running a the whole mile in times ranging from 7 to 8 minutes. Until finally we ran the whole mile and a half one day. I don't remember exactly but I think we were under 13:30. Now we always run a mile and a half, no matter how much we think we're going to cramp up and fall over, or get sick all over our shiny running shoes. Our best time is 11 minutes and 17 seconds, we must've had a good day that day because we haven't matched or beat that yet. My Initial Fitness Assessment(IFA) is this Saturday but I'm not worried about it, as long as I can get under 13:30 I pass. It will be strange running by myself though. I recommend running with a partner, one who will push you when you're ready to quit. You end up doing more than you ever thought you could. I went from running a quarter-mile and then walking a quarter-mile to running a mile and a half straight in under 13 minutes in about a month. If I had been doing it all by myself I would probably still be fretting about my test coming up. Oh! almost forgot... 21 days! First of all I need to start off by stating how thankful I am that Mass Communication Specialist(MC) was open to me when I went to MEPS. My paper work tells me that there are about 1400 individuals in this rating. That is 1,400 MCs out of about 340,000 active duty Sailors. So the odds were against me but I was very fortunate. Mass Communication Specialists are Public Affairs and Visual Information experts. They present the Navy story to audiences in the Navy and to the rest of the world through a variety of media. MCs write and produce print and broadcast journalism news and feature stories for military and civilian newspapers, magazines, television and radio broadcast stations. They record still and video photography of military operations, exercises, and other Navy events. They serve overseas, on ships, and at stateside commands as photographers, public affairs specialists, newspaper and magazine staff, and TV and radio station staff and talent. MCs also create graphic designs in support of the public affairs mission, create and manage official websites, and perform high-speed, high-volume graphic reproduction. Once Recruit Training Camp is over in late October/early November I will be heading to Ft. Meade, Maryland. There I will be attending my "A" school for 25 weeks. In "A" school you have more freedom than in RTC, meaning I will have internet access again. From what I've heard "A" School is much like college, just a little more strict. Earning more privileges as I progress. From here on expect a few updates before I go to RTC, I will be somewhat busy in this last month of civilian life, but I will have enough time to update a bit I am sure. Is it strange to say that an HBO miniseries changed my life? Because it did. 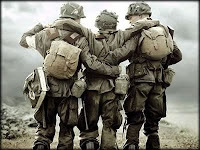 A while back, somewhere around the beginning of 2007, I caught a few minutes of "Band of Brothers" on The History Channel. About a week later my copy of the series arrived in the mail, and after the first episode I was hooked. Within a week I had finished the series. When the credits hit the screen on the last episode I was left feeling a little, well, hollow. I looked at myself and compared to the men in that war and I did not like what I saw. I felt like I had nothing to proud of. I mean I sit all day and play video games, watch tv, and chat to people on the net. It was time for an extreme change, and what better way to do that than to test myself in the heat of battle, to throw myself headfirst into the fire and come out a better person because of it. However I wouldn't let myself join up just for "the rush" I felt like I was seeking. One night, after a conversation with some friends about the military as a career option I really started looking into it though. I did research on pay and benefits, what jobs were offered from each branch, and comparison of civilian and military life. I was surprised by what I found. After a few months of reading up on my own and talking with friends I had settled on the Air Force. I gave all the branches a chance, and thankfully so, because after talking to the recruiters for the Navy I knew it was where I wanted to be. Better Educational opportunities, a better probability to get and keep the job I wanted, and the chance to see the world! I didn't rush it though, I took time to come back in and speak with the recruiters over a 2-3 week period, and they were patient with me. Had they not been I may have felt too pressured. On 23 April 2007 I swore in at MEPS In Columbus as a Mass Communication Specialist(MC), the job I wanted. So here we are today! The whole purpose of this blog is for me to document my time in Navy Recruit Training Camp possibly more if I decide to keep updating. The idea came to me while trying to figure out how I'm going to write to all the people who wanted me to keep them updated on how I was doing. As it was I had about 7 or 8 people who wanted me to write to them. I gladly would have, however I found out that my time to write home is limited. Writing 7 or 8 letters will not be easy. Unless of course they all say "Things are ok! Yours truly, Adam" but who wants a letter like that? So I decided I would keep a blog of the whole experience. Meaning I don't have to write 8 letters and people are still informed! Perfect idea right? Sort of, except for the tiny fact that there is no internet in bootcamp... surprise! However, My plan to remedy this predicament is I'm having one of my friends update my blog for me while I'm in boot camp. I will just write to him with a letter including what I want posted and he will type it up for me and post it, thus I can update my blog while in boot camp. That's all for the moment. Thanks for stopping by to read, and if you want to know how Navy life is check back often!